Avengers: Endgame Trailer – Did Scott Lang Travel Back In Time? At this point it goes without saying that Avengers: Endgame is THE buzzword around the internet. The trailer, that dropped yesterday without an official announcement or warning yesterday, raced past 1 million likes, and then 2 million likes in no time. Despite doing a thorough breakdown of the trailer dissecting every frame available, it appears there’s no dearth of fan theories that cease to surprise us. A new such theory has emerged, that has an interesting take on Scott Lang’s scene at the end of the trailer that has him trying to summon Captain America through his front door. Eagle-eyed Reddit user bgharris2 theorizes that the reason Scott Lang is trying so hard to ensure Captain America remembers who he is parallel to the strange reactions of Cap and Black Widow is that Lang has essentially time-travelled in past. It’s why Lang’s footage appears as an ARCHIVE footage, meaning it may not necessarily something they’re seeing live. That’s not all, even the specific year Lang has travelled to is revealed in the footage to be 1983. The theory has huge implications for the game plan that the leftover Avengers have in mind and as of now, people are struggling to make sense of how it all connects. It’s possible that Lang emerged out of the Quantum Realm in a different era altogether, recording messages trying to get through Natasha and Steve but to no avail. 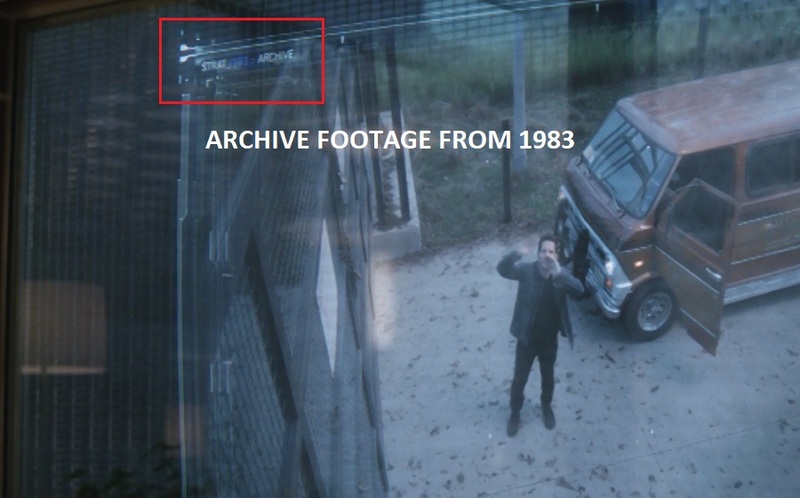 It’s also being theorized based on the background that the footage takes place in the Avengers facility upstate which, circa 1983, would’ve been a S.H.I.E.L.D. facility. Lang would’ve accidentally emerged at the wrong time, then tried multiple times with each attempt recorded and archived. These archives end up being viewed by Captain America and Black Widow in the present-day Avengers facility who are surprised to find Lang back in time, while also receiving hope that time-travel is possible. They then touch base to Lang to travel back collectively to warn the Avengers of Thanos’ menace. Of course the rather unexciting possibility involves Lang having broken out of the Quantulm Realm and actually knocking on the doors of Avengers facility, a place he would be familiar with considering he fought Falcon there during Age of Ultron and Rogers and Romanoff are simply confused on seeing Lang alive, since they had very well thought him killed in the snap, as is seen when Bruce Banner looks at the dead. That this is the least exciting theory is quite saying something about the movie’s mystery. Whatever the case, there’s something definitely off about the scene, and the whole trailer itself. Chris Evans looks a lot younger in places and there are sequences where it feels like he’s taken up his costume from The Winter Soldier. In any case, all the theorizing and guessing is an incredibly exciting phase of any fandom, especially with an event movie as huge, yet as secretive as Avengers: Endgame. Only time will tell what secrets Lang’s appearance before Cap and Widow hold but it goes without saying that exciting times lie ahead. It’s probably the best time to be a Marvel fan right now. Avengers: Endgame releases in theaters earlier than expected, on April 26, 2019. If you’re wondering what to do in the meanwhile, check out our Road to Infinity War series, which could also be interpreted as a Road to Avengers Endgame.